Move over once? Move over twice? 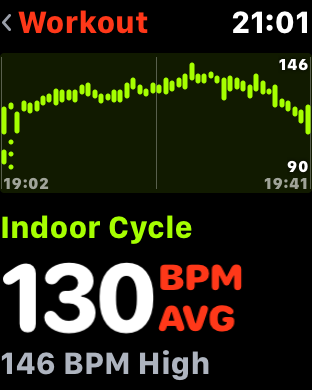 So many athletes look at Apple Watch and disregard it as a serious training tool. They are wrong - I've been using Series 3 LTE/4G for my IronMan winter training pretty much without issue, while my Garmin 935 has stayed on its charger. 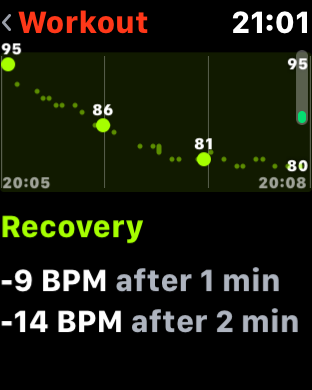 I'm more than happy with Apple Watch for my training in these winter months. Here's the things I hear and my responses - if I've missed any, put them in the comments and I'll respond! Battery life doesn't cut it! This is the strongest argument against the Apple Watch for long distance events. My tests so far have revealed a life of around 3.5 to 4hrs for workout tracking with LTE and GPS on; that's fine for short events and training of course. However there are other options I need to try such as the low power mode combined with a bluetooth HR strap - I'll be testing this with a long bike ride of 4-6hrs as soon as I get a weekend that isn't packed with other stuff. 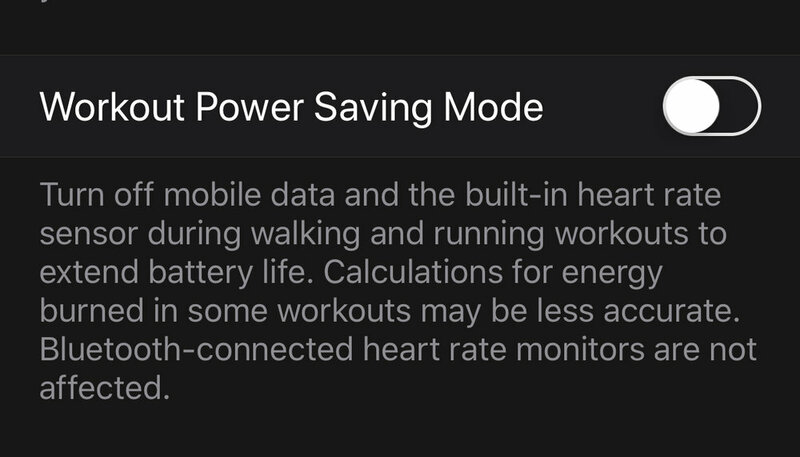 Using Apple Watch on a turbo where your phone is nearby and GPS is not needed, appears to not affect battery life in any significant way. And overall for day to day training, battery life is great. Yesterday I had the watch on all day, with a 30min turbo, forgot to charge it at night and in the morning had 30% left. 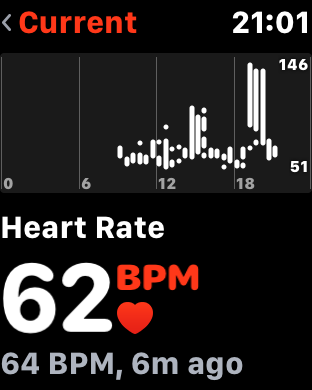 This was a common complaint for earlier versions of watchOS and Series 2, but my tests so far with watchOS 4 and series 3 have been impressive. I have no concerns about the quality of the HR data. Overall feedback from users of this blog have been encouraging too. One thing to consider is proper placement of the watch (see Apple's doc here - basically not too loose, not too tight), and I have wondered if the new Sports Loop offers superior performance because of a better fit, especially in the pool. 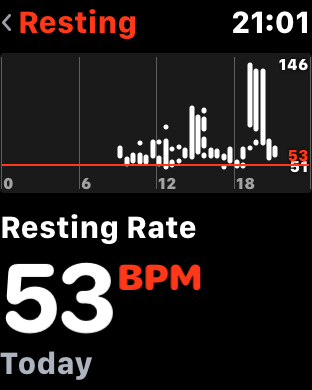 Lets just say that again - Apple Watch delivers quality HR in the pool - Apple have cracked this with their optical sensor and Watch and iPhone algorithms , whilst Garmin are still saying that the quality bar for wrist based sensors is too low and you need to use a chest strap - I think Garmin need to catch up here. 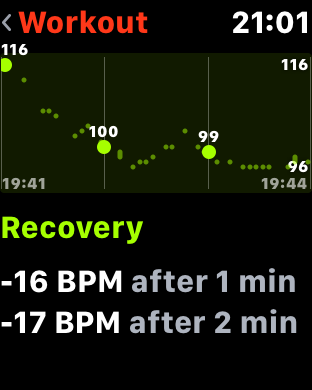 Apple Watch also provides all day HR monitoring. Throughout the day you can get on your Watch your Current HR, your Resting HR, your Walking average, together with average stats for workouts, and details of HR recovery. This is great and simply viewing your Resting HR can be a useful guide to your current health - mine jumped to around 56 recently for a few days as I had a cold, then fell back to my normal 49-52 when I had recovered. Wouldn't it be great if an app took that into account and then adjusted your training for the day accordingly? Pick any sports tracker and go to the support forum for it and you'll find large heated discussions about the quality of the GPS track. With current technology we are not going to get super accurate tracks all the time. I've had mostly great results with my Garmin Forerunner 935, but my Fenix 3 before that made me look like a drunken swimmer occasionally, more zig zag than Box Hill in fact. Apple Watch is on par with the 935 in my experience - so nothing to worry about here, please move on. That was true, but this is now a solved problem. See RunGap and HealthFit. The Workout app is too basic - what about Intervals! 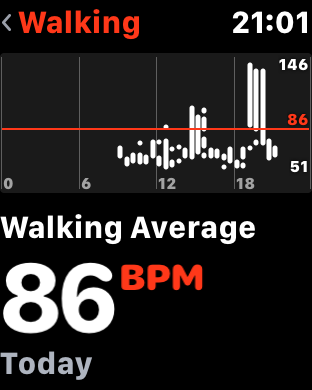 I'm often surprised how the Apple Watch functionality is judged on the built in Workout app, and not the many third party apps that can be installed. But maybe I shouldn't be - it's the power of defaults, and most people prefer a simpler life if possible. 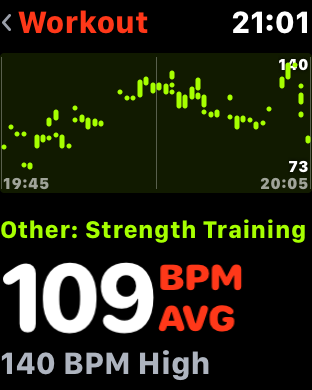 The Workout app has improved in watchOS 4, now supporting multi-sport (to a degree - see this post), much better swim metrics and new workout types such as High Intensity Interval Training (note this is just a way of Apple Watch better recording HR during Intervals - nothing to do with creating a structured workout). So the current Workout app is very good at what it does, but it does have limitations for triathletes and for structured training (well there isn't any structured training!). I do have a post in the queue - everything you wanted to know about the Workout app, but were too overtrained too ask - coming soon, but in reality most triathlete's are going to be looking at other apps they can install. The can track on Apple Watch without the need for iPhone being around. They read and write data to the Apple Health database. Ideally I'd like to see apps that don't need iPhone or a web platform at all - that is getting more feasible with series 3 LTE/4G, but let's not limit our thinking here - Apple will not be letting up on the yearly progress they are making with Apple Watch (I for one am surprised we already have LTE in both 42mm and 38mm watches and a bunch of other functionality without battery life loss over series 2 - really, that's quite remarkable! ), and just think what they may be doing in another three years. What about my ANT+ power meters? Am I supposed to throw them away? 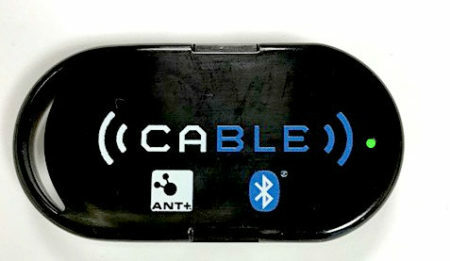 There are ways to bridge ANT+ devices to bluetooth. You can use the 4iiii HR strap or the CABLE from npe for example. What both of these do is pick up the ANT+ broadcast and then turn it into a bluetooth signal that your Apple Watch can receive. That's great, but since the Apple Workout app doesn't look for data from other sensors, you will need a third party app to view and log it. Many iPhone apps already do this (such as iSmoothRun) but we are waiting for Series 3 Watch apps that don't need iPhone to be around to offer it. They're coming though, and iSmoothRun have said they are adding it this year. Do either of the above and use an iPhone app that supports the data now and take iPhone with you. Stick with a bike computer for now like the Elemnt Bolt - I know this is a bit of a cop out but a bike computer is preferable for visibility and route planning than a wrist worn device. 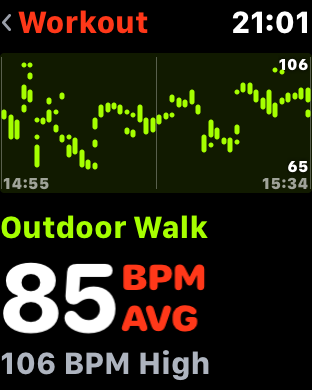 Keep your Apple Watch on and log an outdoor ride as a backup. Unfortunately there is no way to broadcast HR from Apple Watch to another device, so you'll have to wear a BLE HR band if you want that recorded on your bike computer. Small hint on mounting your Apple Watch on your bike if you want to do that. There are a few mounts in kickstarters or on Amazon such as https://velomounts.com and this one, but I have one of these which seems to work OK. Bear in mind you'll have lost optical HR, so you'll need to wear a separate BLE one and connect it to Apple Watch, and unless you want to keep tapping in your passcode as you ride you'll want to turn your passcode off (which will also remove any cards you have for Apple Pay, which is a bit of a pain). UPDATE: As mentioned in comments If you turn off Wrist Detection in Settings > Passcode on the watch or the iPhone Watch app, then you don’t need to turn off the passcode at all. So you can mount the watch on the bike, tap the passcode in once if needed, use a BT HR strap and then cycle. You will need to tap the screen to view the display but you won’t need to enter a passcode. You can increase the time the screen stays on after a tap to 70secs from 15secs in a Settings > General > Wake Screen which gives you more time to look at it. Make sure you turn Wrist detection back on after a ride especially if you use Apple Pay. That's correct, it doesn't stay on, but it does turn on when you look at it - this works 99% of the time for me (that's an estimate, but really it hasn't been a problem). To lock the screen, swipe right and tap the water drop (this is primarily a swimming option). Let me know in the comments and I'll respond!